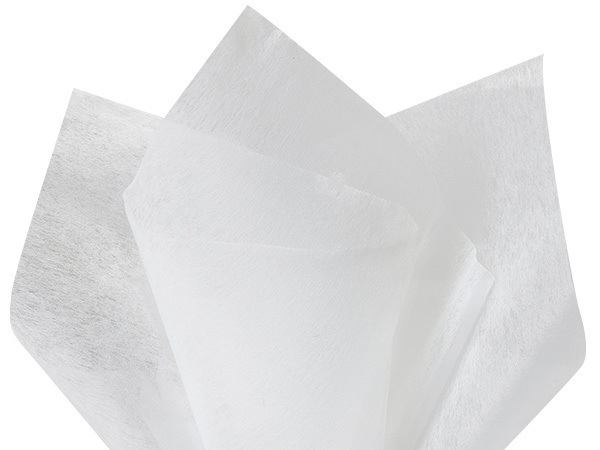 White Non-Woven Tissue by the ream. Sheets look & feel like fabric but are strong polyester. Non-woven tissue is reusable and 100% Polyester.